Step with confidence with the Hailo L90 Stepke. 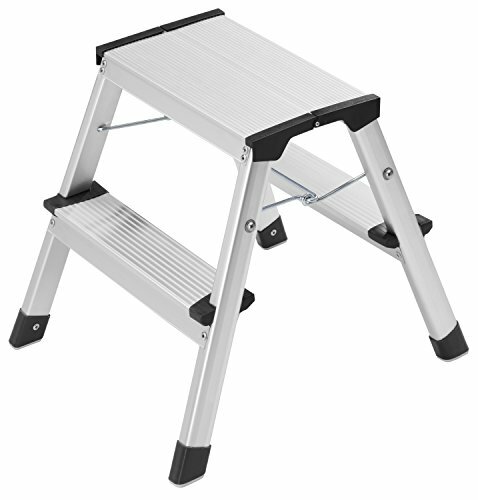 The large hinged steps are grooved to provide stability and grip. Powerful push/pull-proof locking system prevents any unintentional collapsing while in use. Lightweight and easy to store with a load capacity of over 300 pounds.